Tiaras. They’re not just about adding bling to the heads of royalty. 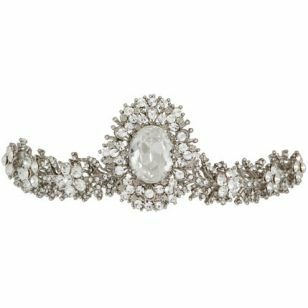 In fact, they’re an historical favourite of brides across the globe, but when it comes to wedding tiaras, the offerings are so, so vast – from delightfully delicate and elegant to overpowering and visibly fake. When accessorised well, however, a tiara can be a subtle and sophisticated addition to your bridal outfit, without stealing your spotlight or bling-blinding photographers. Fit for a monarch, the clear stones set in this antique silver tiara create a simple but commanding headpiece that will accent any bridal updo perfectly. A whole lot of handmade love went into these flowers, complimented by an enchanting combination of Swarovski crystals, semiprecious stones and pearls. Cinderella would be proud of the wire vine details in this tiara, which boasts, intertwined flowers and rhinestone crystals in and understated and elegant princess-perfect tiara fit for your fairytale day. 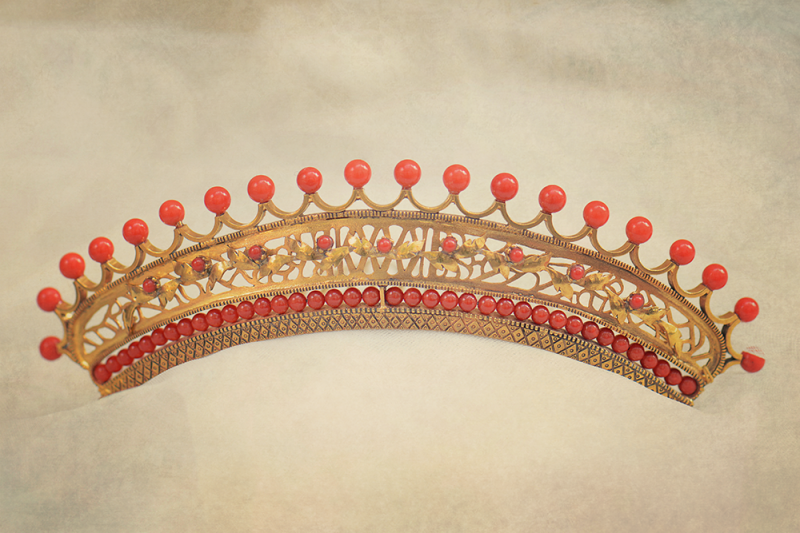 Russian history and culture inspired this thematic royal tiara. Striking a perfect balance between extravagance and modesty, diamond or pearl accessories would bring this piece to life, but with face-framing tassels, maybe pass on the earrings. Combine something new and something blue with this handmade Swarovski crystal crown accompanied by diamantes and set in a rhodium plate. Its classic romantic style and elegance make it an heirloom-worthy addition to any wedding gown. 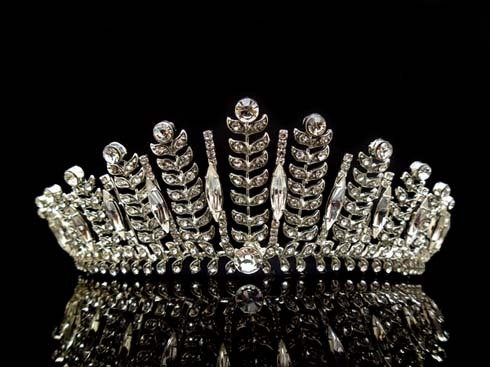 The Romans played a significant part in the evolution of tiaras. Picture this with a toga wedding gown, matching arm cuffs and wrap-around sandals for a casual Grecian Goddess garden wedding. Channel your inner sea princess with this whimsical Swarovski encrusted tiara with gold-plated clam shells. Coral-coloured freshwater pearls and sea green crystals make this the perfect tiara for any beach or mermaid-themed wedding. This intricate crystal encrusted floral garland keepsake with statement oval centrepiece will hold its charm for decades to come. Best worn towards the back of the head with an elegant updo, or for romantic antique style, placed in a half-up/half-down ‘do. The Duchess of Cambridge has proven time and time again she knows what she’s doing in the style stakes, so it’s perfectly reasonable to replicate her royal bridal halo with a silver plated rhinestone tiara that would have Kate herself second-guessing the authenticity. There’s no rule that says your tiara has to look like a crystal-clad disco ball. Think outside the box and explore other options for bridal crowns, like this elegant white headpiece propped atop a low-tied bun. 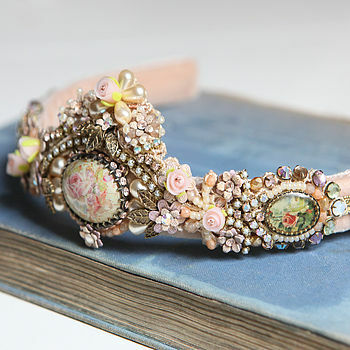 Have you witnessed or worn a ridiculous wedding tiara? What is the recipe for the perfect bridal crown? 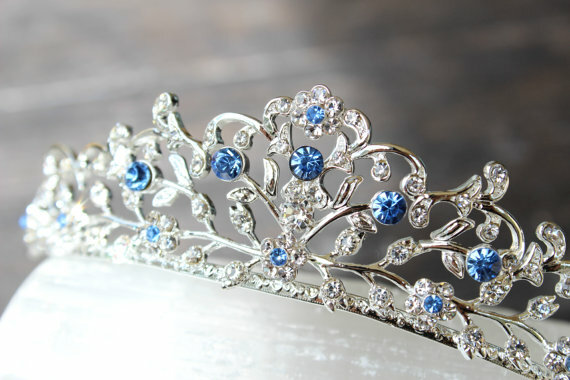 We’d love to hear your thoughts about tacky vs tasteful tiaras in the comments!